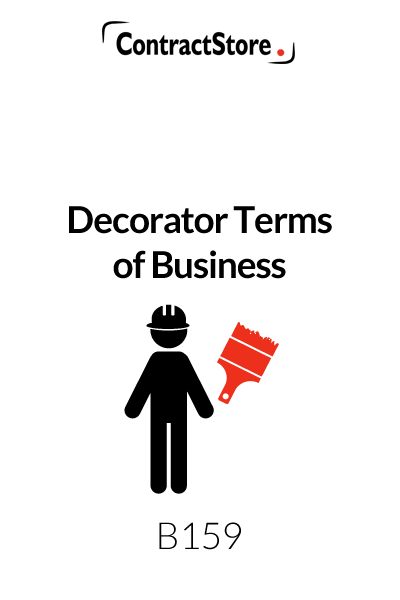 These Decorators’ Terms & Conditions are for confirming your terms of business with domestic or commercial clients. Over three pages, the document has thirteen clauses covering services, timing, site access, payment, standards of work, insurance, governing law and related issues. A form of agreement is included, as are Schedules allowing you to detail services and materials, and rates. 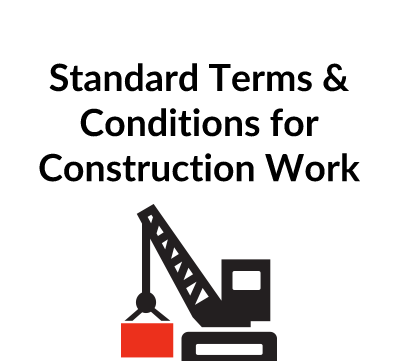 You need this document if you are a painter or decorator looking to set out your terms and conditions of work in a clear, straight-forward manner. 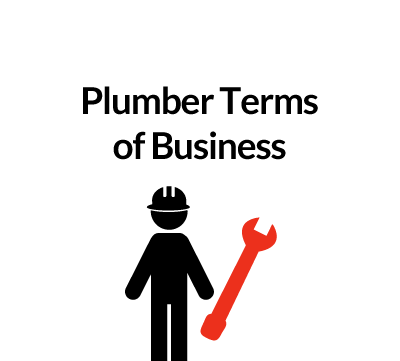 These Terms of Business are designed for use by a painter/decorator. They are in plain English and written from a practical point of view as a template for any company or sole trader who is engaged in the business of providing painting and decorating services. There is a one page small print version of the Terms included. 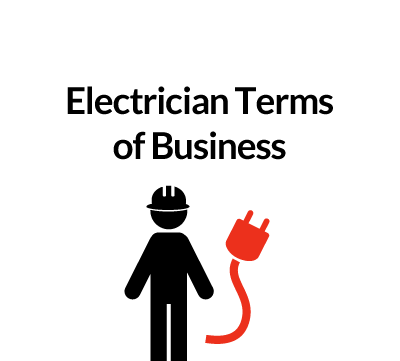 The Form of Agreement is intended for use mainly when an estimate is required before the work starts. It needs to be completed by the company and given or sent to the client for acceptance with the Terms of Business and Schedule of Rates. If the client wants to change anything in the Form of Agreement, at document, it may be necessary to have another one drawn up and signed, incorporating the changes. If you are called out to do work without any form of agreement being signed, then the client should be given a copy of the Terms of Business and the Schedule of Rates before work starts. 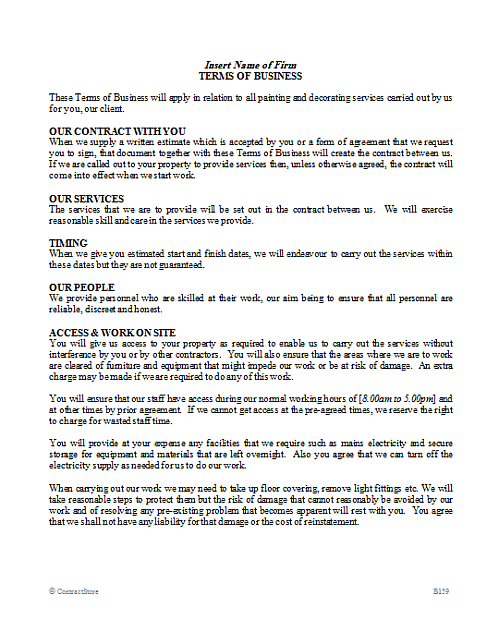 We have also included some documentation and wording for use when the services are being provided to a consumer – i.e. a domestic customer – and the Consumer Contracts Regulations apply. In those cases it is a legal requirement that the client has a 14 day ‘cooling off’ period. You also need to include a form of Cancellation Notice to comply with the law concerning doorstep sales. Our free document Z171 contains guidance on the regulations with a link to the Government website. To avoid later disputes it is advisable for both parties to be very clear as to the detailed scope of the services, the work to be done and the price – vagueness in the specification is more likely to result in disputes than clarity. This explains how the contract comes into existence. It deals with a situation where an estimate or form of agreement is provided to the client as well as where the decorator is called out to do a job. The company has basic obligations to exercise reasonable skill and care, and provide services as agreed between the company and the client. The client is responsible for giving the decorator access to the site when they need it, for clearing the space to enable the work to go ahead and for providing facilities such as secure storage for equipment, power supply etc. This refers to the form of agreement if there is a fixed price and to the rates. It deals with advance payment, invoices and payment periods. This is designed to ensure that if a client asks for a change to the services, the company will be paid for it at an appropriate rate. It also deals with extras that might arise – e.g., if the decorator finds that the plaster on the walls is inadequate to take the wallpaper he is due to hang so the room needs replastering first. This paragraph should give clients some comfort that standards are monitored and concerns of the client will be dealt with. This gives the company the right to terminate the contract if the client fails to pay or commits another breach of the contract. Unforeseeable events such as flood and fire as well as unavailability of materials or personnel are covered by this clause, limiting company liability to the client. This states that the company has employer’s liability and public liability insurance and the client is responsible for taking out property insurance. The paragraph aims to limit the liability for claims by referring to the client’s property insurance and if there is a claim on the decorating company, liability is limited to the company’s insurance proceeds and liability for indirect losses is excluded. Legal advice should be obtained here as this can be a complex subject. This clause contains a three stage method of resolving disputes – first, direct negotiation, second a referral to mediation and, thirdly, the courts of England and Wales. There is information on adjudication in the Free Information (Alternative Dispute Resolution) note on our website.